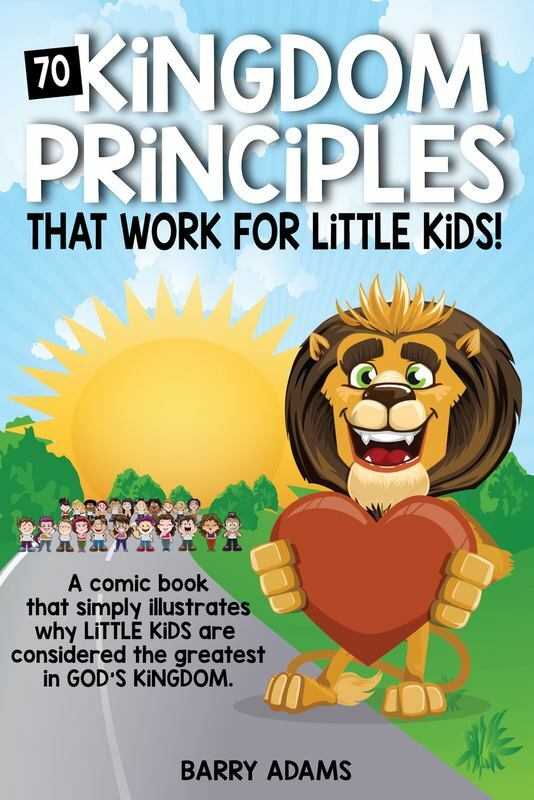 All of these e-books were created by Barry Adams and can be freely shared with others. In this new book, Barry Adams shares how the Father's love has freed him from a life long pursuit of performance based Christianity. Now he enjoys a simpler, fuller life as a much loved little boy with a BIG Dad. 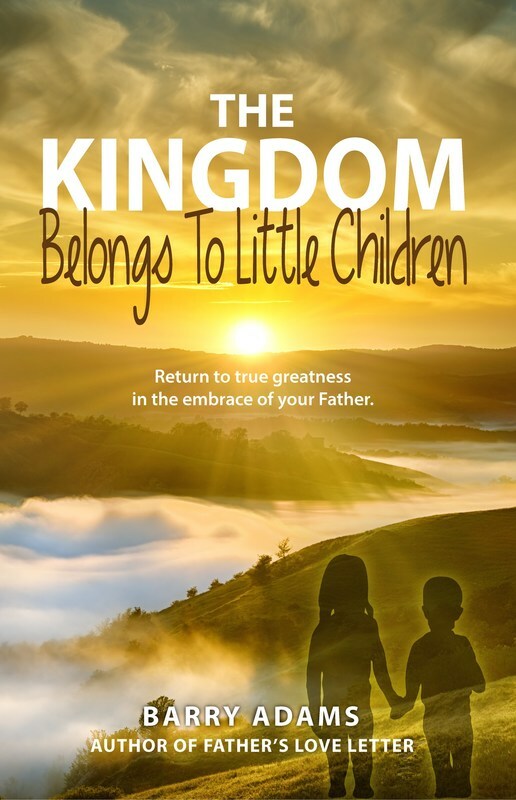 In this newly released free PDF booklet, Barry unpacks the simple road map that Jesus gave His disciples in Matthew 18:1-5 on how to change and become like little children again. Over the past 20 years, Barry and his wife Anneliese have discovered the secret to living life to the fullest in God's Kingdom is really no secret at all. Little children do it intuitively without any effort and their little lives are the greatest example of our Heavenly Father's Kingdom this side of heaven. The good news is that everybody has a 5 year old still inside of them that is ready, willing and able to be reconnected with the grown up on the outside of us! 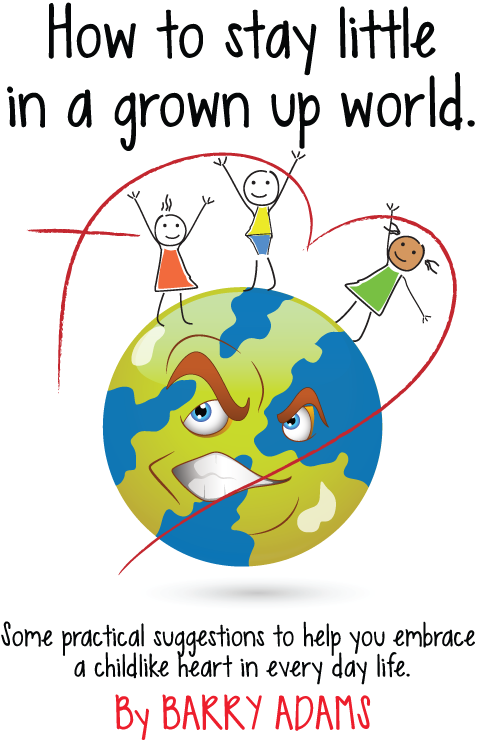 In this easy to read short booklet, Barry shares some practical suggestions to help you embrace a childlike heart in your every day life. Feel free to share this PDF with your friends! Often when we read books, we primarily use the left side of our brain where reason, logic and intellect are dominant. That is all fine and good if you want to intellectually understand something. However, if you want to truly grasp how Jesus said that we could change and become like little children again, we cannot comprehend it with a grown up adult mindset. 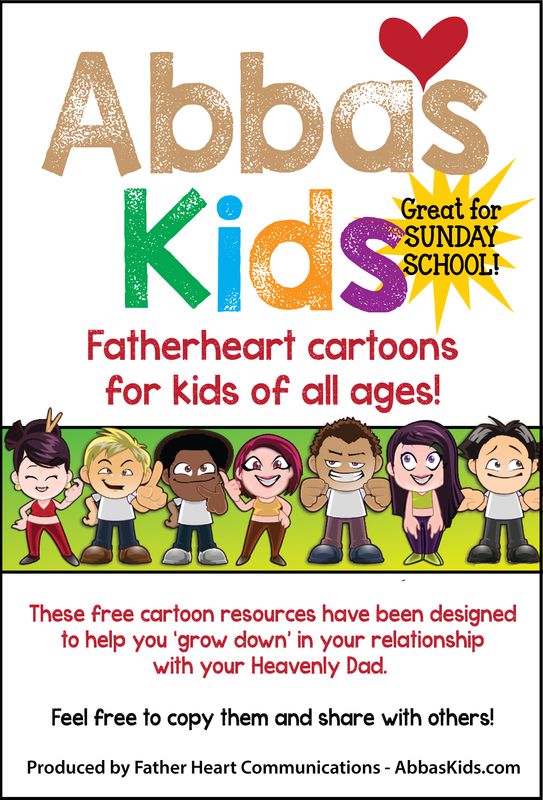 This cartoon series was created to practically help adults understand the gospel from a little child's perspective. Since Jesus said that His Kingdom belonged to little children, we think it would be wise to ask God to help us receive His Kingdom like little kids do (Luke 18:15-17). IN BOTH PDF AND E-PUB BOOK FORMATS. We've created a new version of the much loved 365 Promises perpetual calendar for this year. Now you can download this calendar in 2 different ebook formats so you don't need Internet access to view the daily promises day by day. 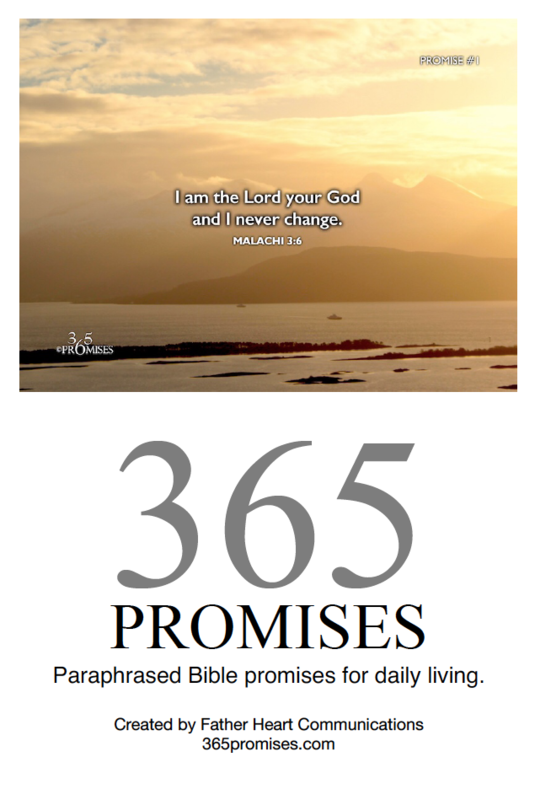 Download all 365 Promise photos in 2 perpetual calendar formats.